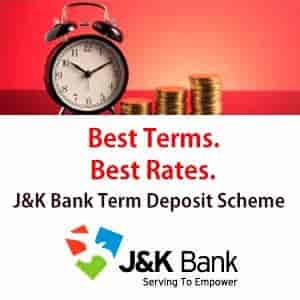 A Kashmiri businessman has sought damages worth Rs 10 Crore from the Punjab National Bank (PNB) for ‘defaming’ the said businessman by publishing a notice in a local newspaper wherein the bank had declared the businessman as “willful defaulter” for not paying a sum of Rs 85 Lakh to the bank. On September 29 Punjab National Bank through a newspaper notice had declared Kashmiri Businessman Mir Fanoon Rafiq as Non performing asset for not repaying the loan worth more than 85 Lakh to the bank. Rafiq however has not taken the notice lightly and has shot back a defamation suit to the bank worth Rs 10 crore and has demanded the notice be withdrawn and that a sum of Rs 10 crore be paid as damages to him within a span of a week failing which the businessman will initiate court proceedings against the bank. In a three page notice issued to the bank, Rafiq has alleged that the default was actually on the part of PNB and that the bank has been unnecessarily ‘harrasing’ him, “ On account of your bank’s failure to adhere to the terms and conditions of the loan by keeping my client’s stocks insured which were totally destroyed in the devastating floods of 2014,” reads the notice. Rafiq’s legal aide has alleged that the Bank has mislead the general public by issuing a public notice in the daily newspaper, “ Declaring my client as willful defaulter has not only defamed my client but lowered down his reputation in the estimation of general public including his relatives and friends, and has resulted in discontinuation of business relations with my client by his valuable customers,” the notice further reads. The notice also claims that the bank failed to export documentary bills of Rafiq worth 23 lakh and that Rafiq has raised a counter claim of Rs 1 crore 48 thousand in the court of additional district judge bank cases. Rafiq also accuses the bank of previously issuing false, baseless and concocted notices and correspondences to the businessman. 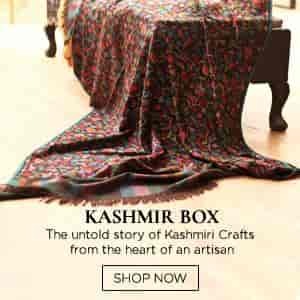 “We have already filed two cases against the bank and they are pending in the honorable court of law, despite that the bank has issued a notice in the newspaper and it has damaged our reputation,” Mir Fanoon told The Kashmir Walla.